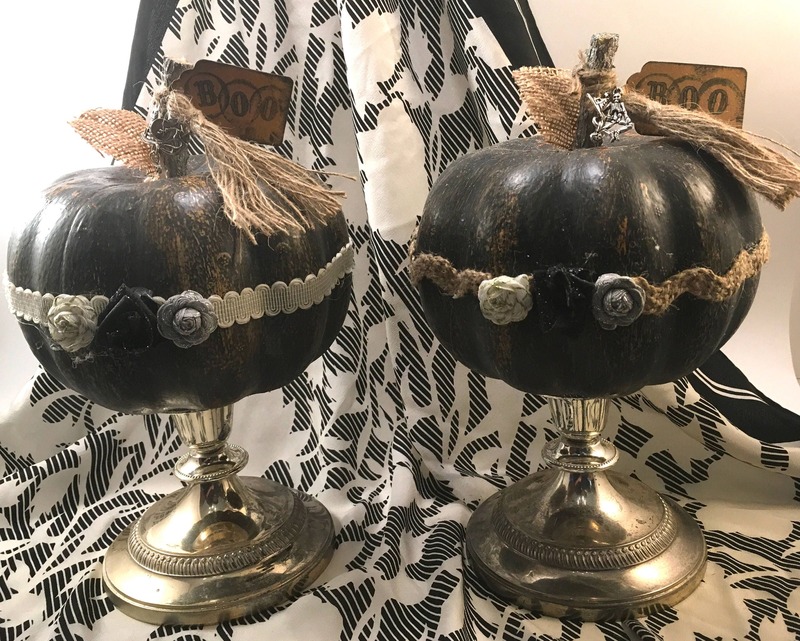 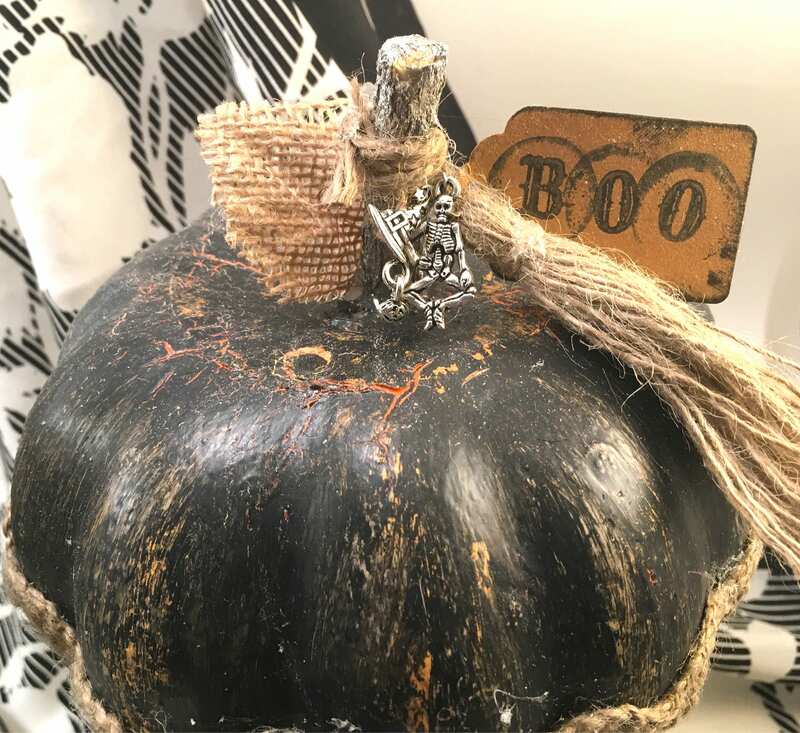 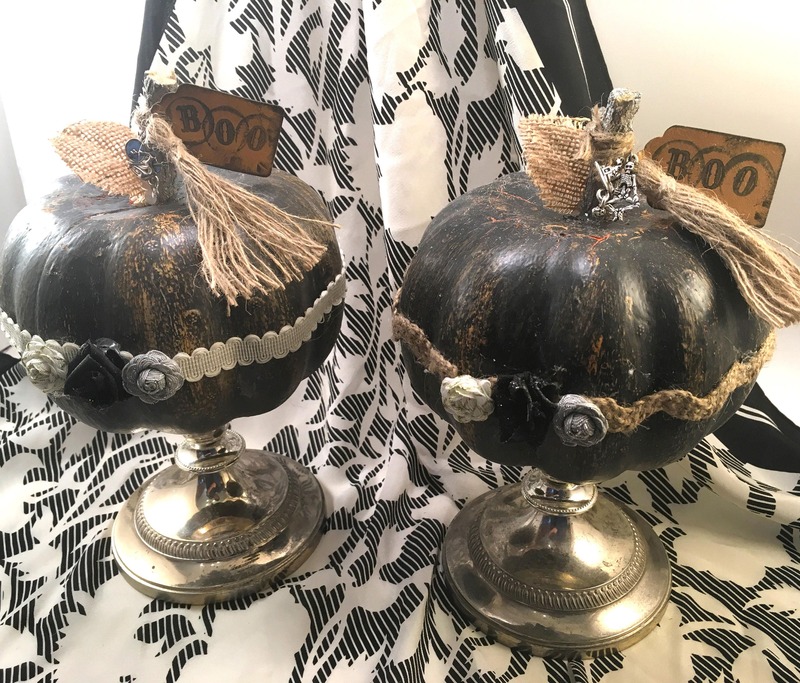 Add a touch of shimmer to your rustic Halloween decor. 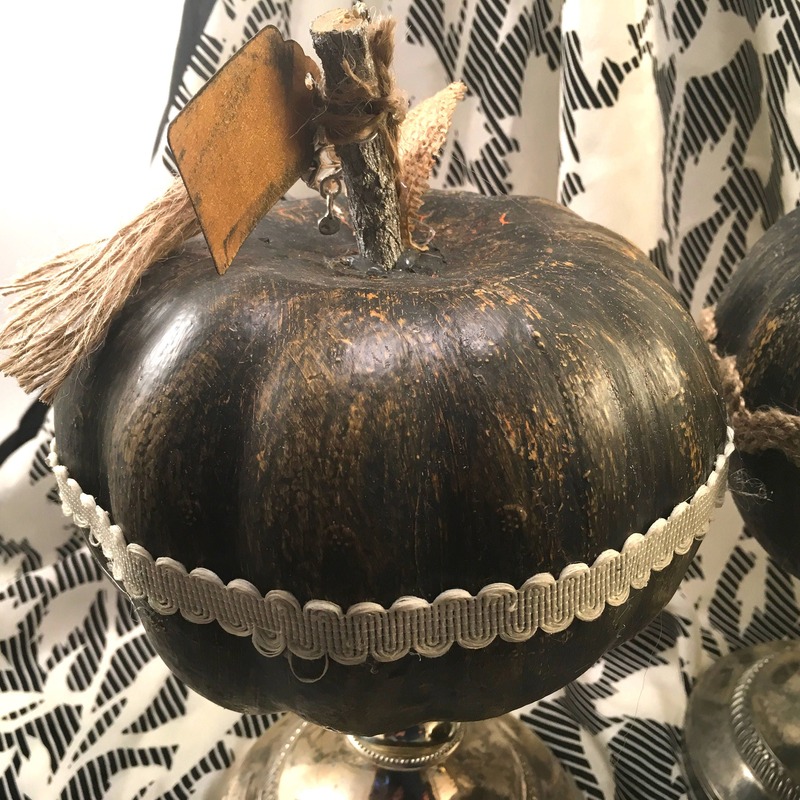 Made of a craft pumpkin, I painted several layers and then distressed it. 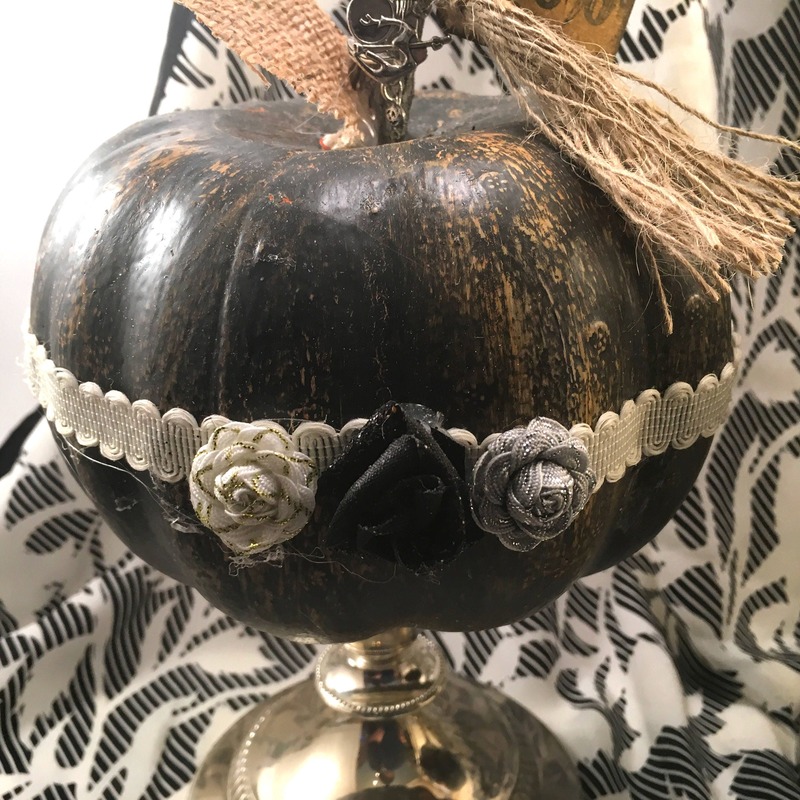 I trimmed it and added ribbon roses. 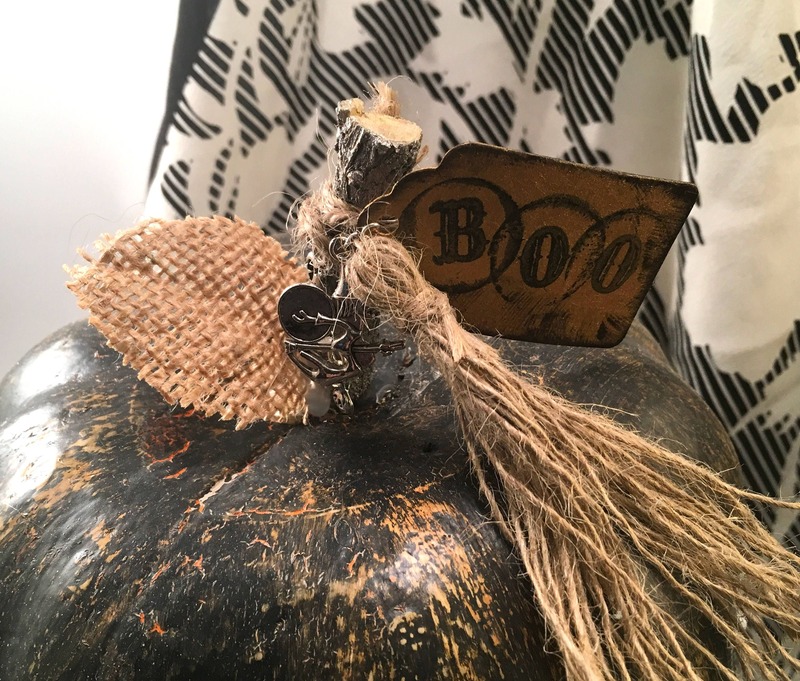 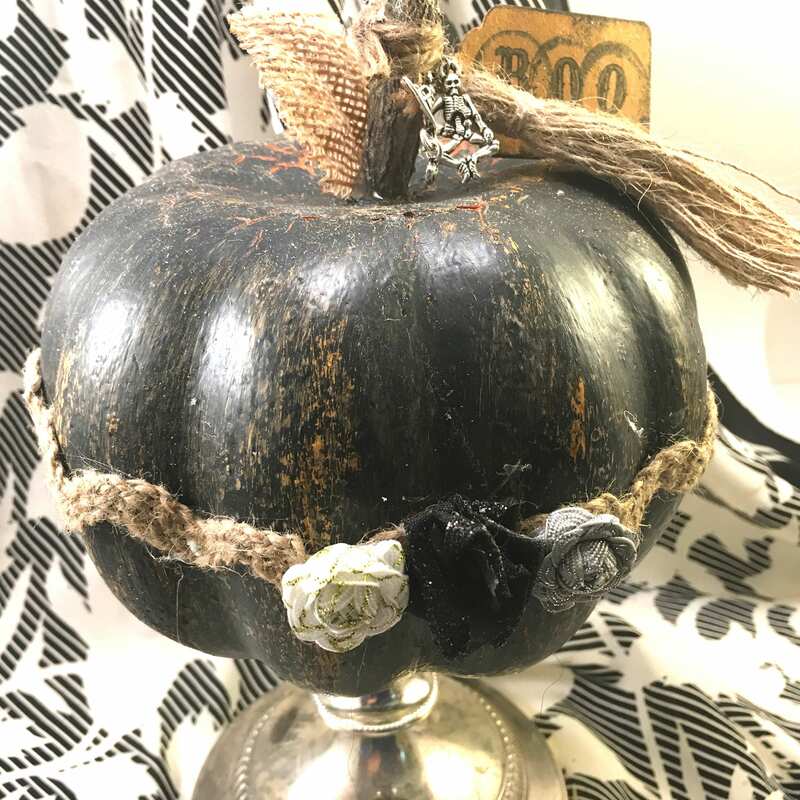 A natural stem is decorated with a burlap leaf, charms, a burlap tassel and antiqued BOO tag. 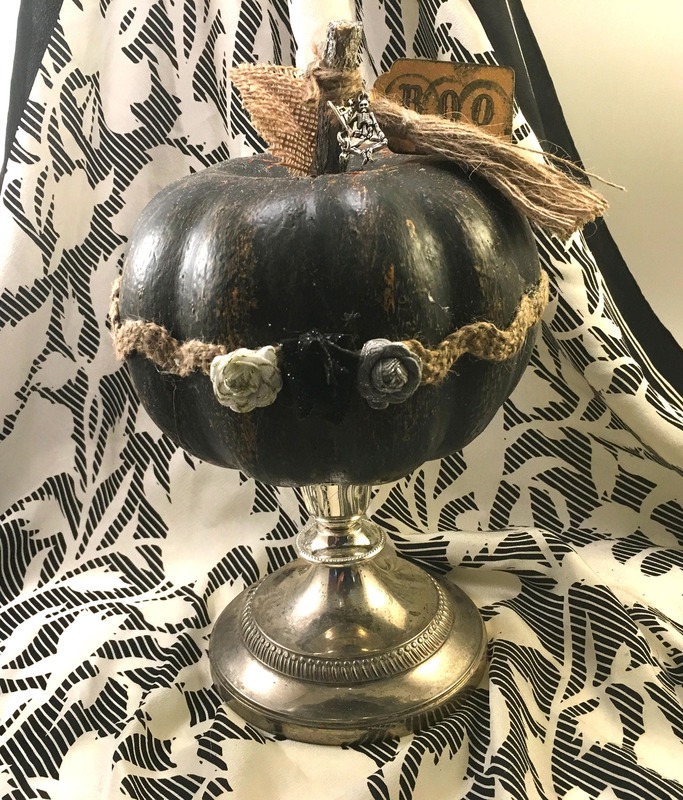 I placed the pumpkin on a silverplate base. 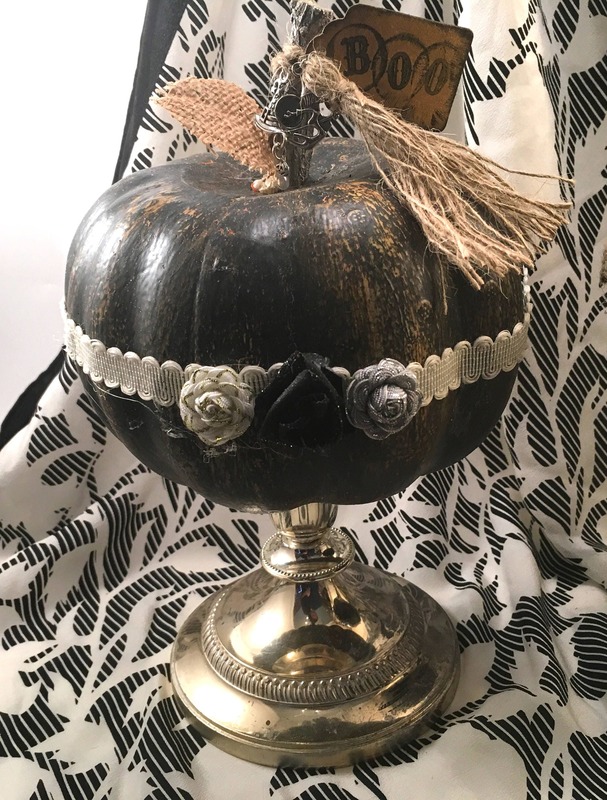 I like the contrast of fancy & rustic. 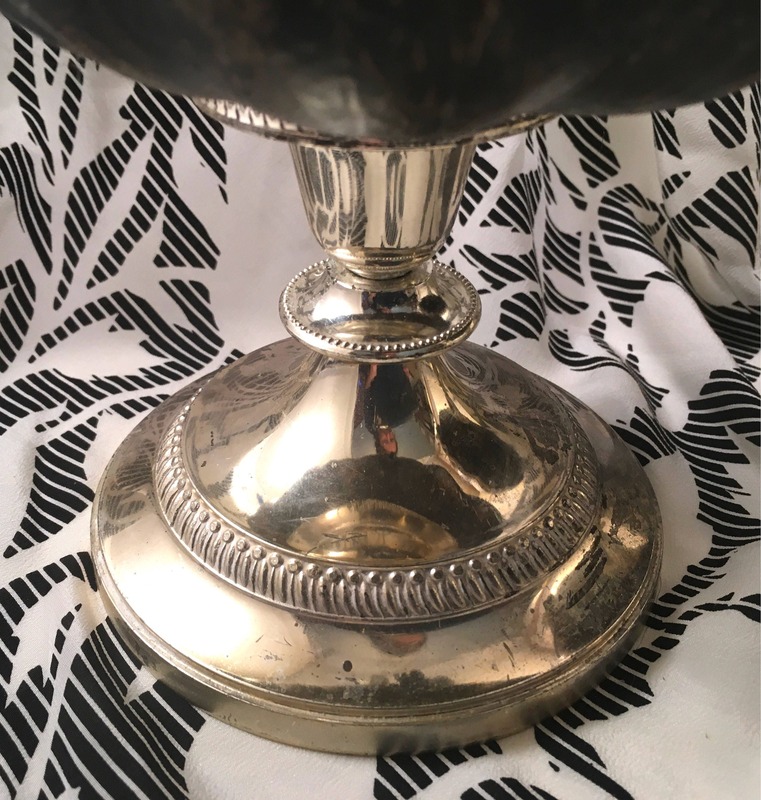 There are imperfections of the metal.